It's time for another dose of poison! 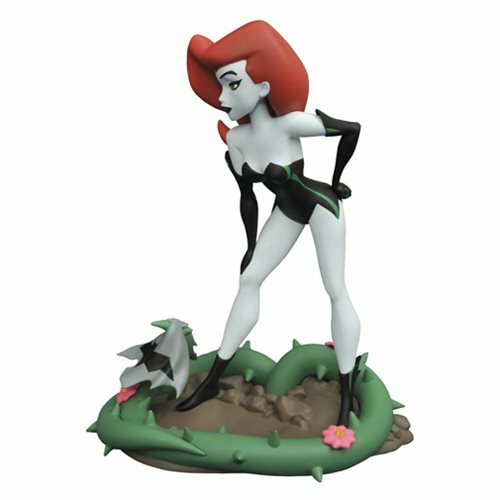 Based on her drastically different appearance in the fourth season of Batman: The Animated Series, known asThe New Batman Adventures, this plastic statue of Poison Ivy shows off her darker, more dangerous look! With pale skin and a dark green outfit, this 9-inch scale PVC figure is in scale to all Gallery and Femme Fatales releases, posing on a diorama base. The piece features detailed sculpting and paint applications, and comes packaged in a full-color window box. Ages 14 and up.